Found 2 file extension associations related to Giants: Citizen Kabuto and 1 file format developed specifically for use with Giants: Citizen Kabuto. Giants: Citizen Kabuto is a third-person shooter video game with real-time strategy elements for Microsoft Windows. It was the first project for Planet Moon Studios comprising former Shiny Entertainment employees who had worked on the game MDK. 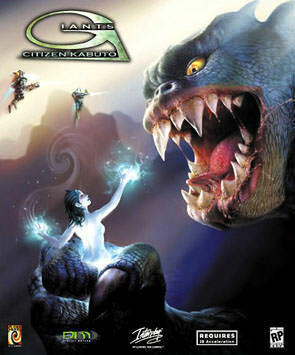 The game went through four years of development before Interplay Entertainment published it on December 6, 2000, and followed up with a PlayStation 2 port in 2001. MacPlay published the Mac OS X port earlier in the same year. The subtitle "Citizen Kabuto" refers to the thundering behemoth who is one of the playable characters in the game. Players can also take on the roles of jet pack-equipped and heavily armed Meccaryns, and amphibious spellcasting Sea Reapers; and challenge each other in multiplayer games. The single-player mode is framed as a sequential story, and puts the player through missions, several of which test the player's reflexes in action game-like puzzles, to teach the abilities of each playable race. Game critics praised the game for its state of the art graphics, humorous story, and success in blending in one genre with another. Criticisms of the game centered on crippling software bugs and lack of an in-game save feature. The critics also rated its console version as technically inferior to its PC versions. The game sold poorly for both Windows and PlayStation 2, although it enjoyed a successful launch for its small Mac OS X market. If you need more information please contact the developers of Giants: Citizen Kabuto (Interplay Entertainment Corporation), or check out their product website.